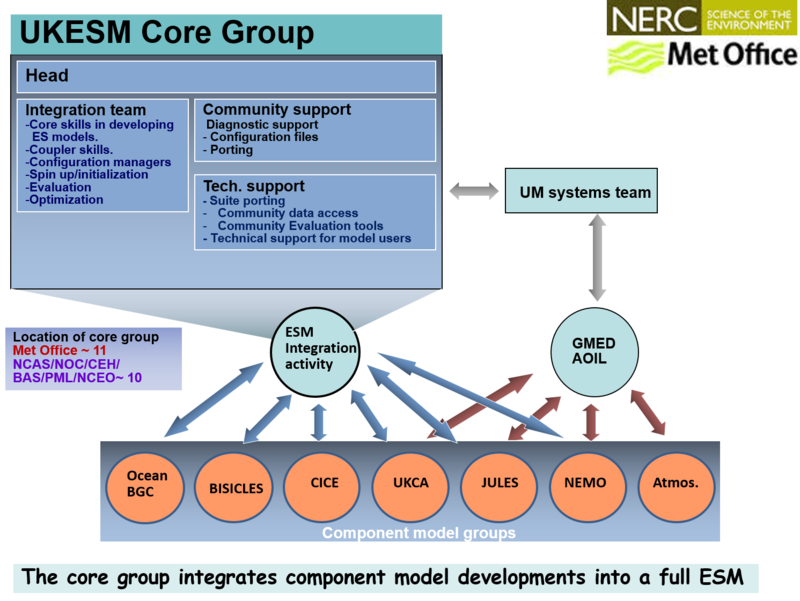 The UKESM core development group integrates component model developments into a full ESM. 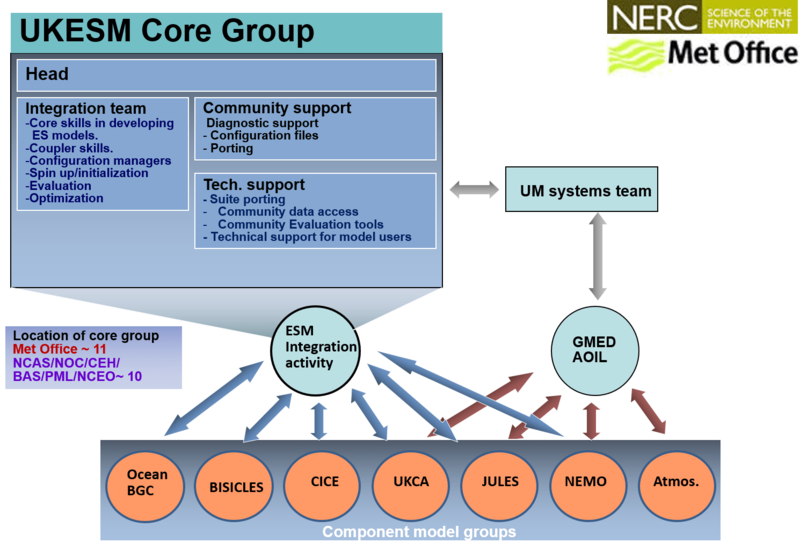 The UKESM project works closely with other NERC LTSM projects concerned with global climate and Earth system change. In particular ACSIS (climate processes and predictability over the North Atlantic), ORCHESTRA (carbon and heat uptake in the Southern Ocean) and LOCATE (developing estimates and understanding of terrestrial carbon fluxes into the ocean). Collaboration will centre on the provision of UKESM1 models and simulation data to these projects for advanced scientific analysis and conversely, the use of observations and process-understanding developed in these projects for analysis of UKESM1 and development of UKESM2. We will also work closely with the Horizon 2020 project CRESCENDO, coordinated by the UKESM coordinator. 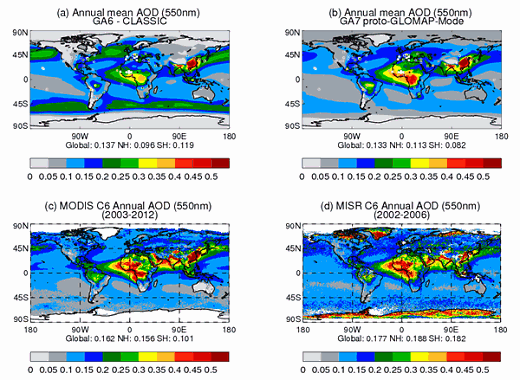 CRESCENDO involves 7 European ESMs targeting improved representation adn evaluation of biogeochemical and aerosol processes in ESMs. We will also collaborate with the H2020 project PRIMAVERA (coordinated by MOHC) investigating the benefits of increased resolution in physical climate models, with project findings guiding planning of UKESM2. International collaboration will also be pursued through established links focussing on key CMIP6 experiments. Such cooperation facilitates sharing of model increasing, evaluation metrics and data sets, increasing the productivity of the UKESM project. 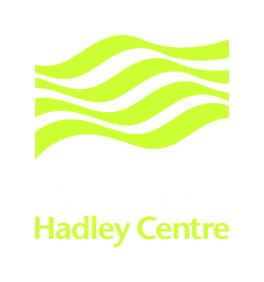 UKESM: The UK Earth system modelling project – Development and community release of UKESM1. 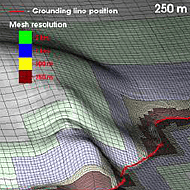 Work funded by the National Environmental Research Council (NERC) national capability grant for the UK Earth System Modelling project; grant number NE/N017951/1. Copyright 2017.